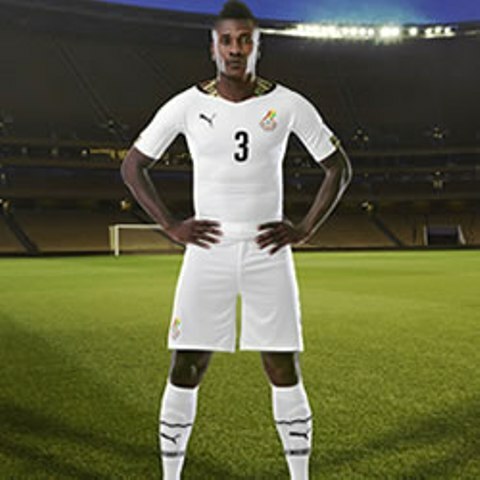 Ghana’s new strips for 2014 World Cup has been released by kit manufacturers, Puma. The Black Stars will debut the new away kit against Montenegro today in Podgorica in an international friendly. The new kits feature PUMA’s new football apparel innovation PWR ACTV, a first-to-market use of both athletic taping and compression within the apparel. The ACTV tape is strategically placed within the garment to provide micro-massages on the skin, working with the human body to help maximise performance and provide players with a faster, more effective energy supply to the active muscles. 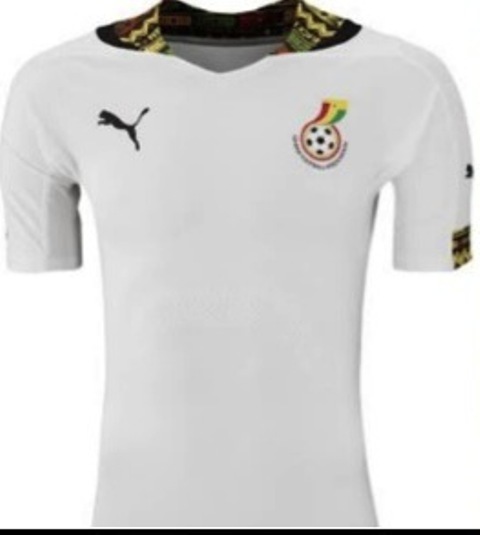 This combined with the underarm mesh inserts for increased breathability and freedom of movement, will help Ghana have a competitive advantage at this year’s World Cup. 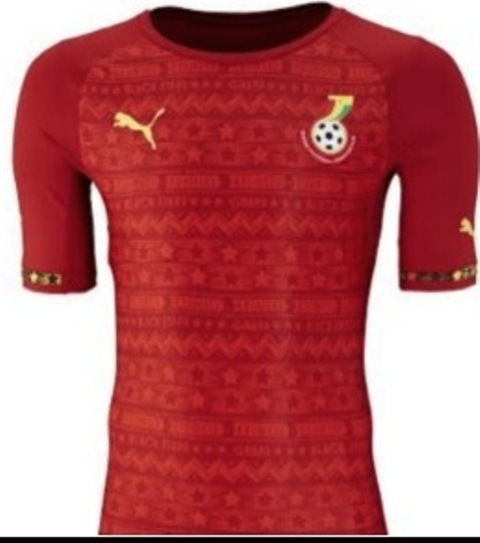 The home shirt features bold African inspired graphic print inserts on the neck and sleeves that represent the pride of Ghana and the national team nickname the Black Stars. The print is created in the national flag colours, with stars and a football field graphic. 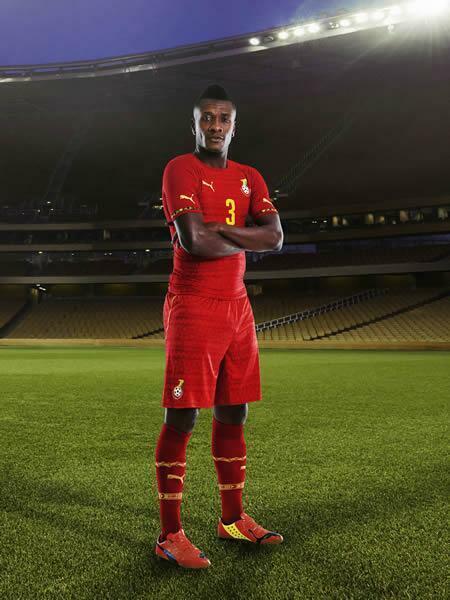 PHOTOS: Ghana’s new Puma kits for 2014 World Cup revealed 0 out of 5 based on 0 ratings. 0 user reviews.